Meritech’s MBW fully automated boot scrubber washes and sanitizes the soles of work shoes and boots, even those with laces. MBW automatic boot scrubbers clean boots at plant entrances and provides cross contamination control between processing operations. 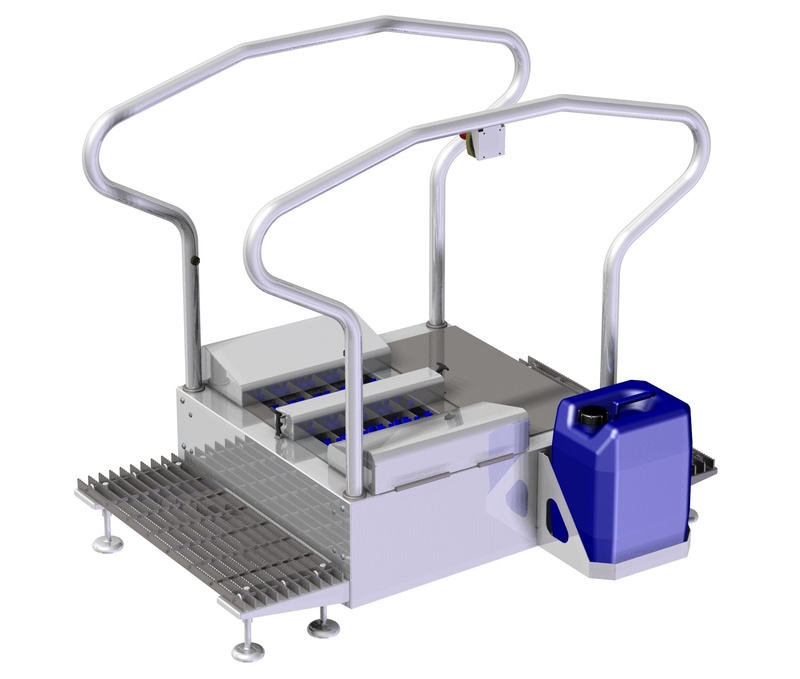 The MBW Meritech Boot Scrubber is designed for wet, industrial environments. They are ideal for use in specialty markets like dairy and wet food production environments, and agricultural applications. The MBW boot scrubber continuously applies a strong sanitizing solution to boots through a series of high-pressure nozzle jets, ensuring complete sanitizing. Compact in design, Meritech’s MBW boot scrubber is easy to install, and fits into tight spaces. Constructed in heavy-duty stainless steel, the MBW boot scrubber is easy to clean – brushes can be removed effortlessly in minutes for quick cleaning or replacement.